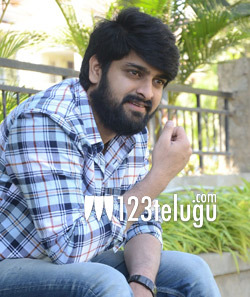 After scoring a blockbuster with his maiden home production, Chalo, Naga Shaurya is currently shooting for the second project under his home banner. Titled Narthanasala, the film is nearing completion already. As per the latest updates, Narthanasala’s talkie part will be wrapped up in a couple of days, and the unit will can a Sangeet song next week. In July, the team will go abroad and can a couple of songs and wrap up the entire shooting formalities. Naga Shaurya will be romancing Yamini Bhaskar and Kashmira Pardeshi in the movie. Debutant Srinivas Chakravarthy is directing the movie. Chalo’s composer Mahathi Sagar is scoring the music for Narthanasala.